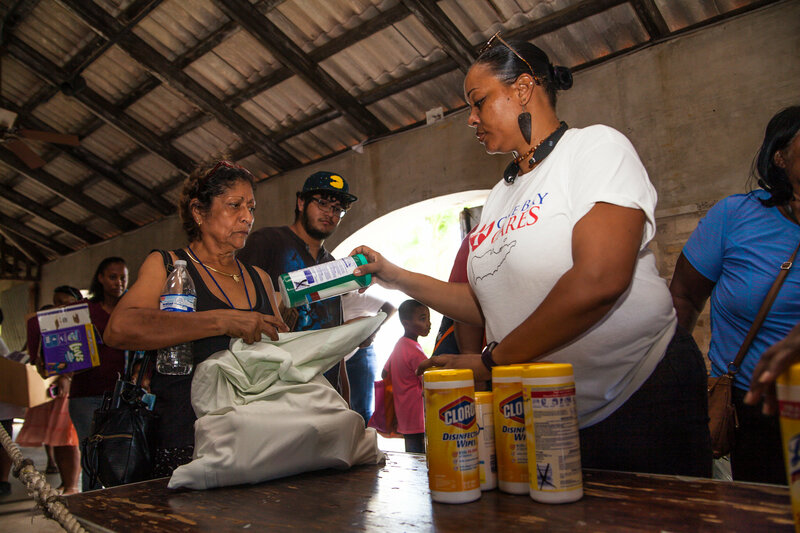 Christiansted, USVI – Cane Bay Cares, in fiscal partnership with the Community Foundation of the Virgin Islands, delivered more than 50,000 pounds of hurricane relief aid to more than 4,000 St. Croix residents, an effort that was double all previous efforts combined, on Saturday, Jan. 20 at the St. George Village Botanical Garden, announced Cane Bay Partners VI, LLLP Co-Founders David Johnson and Kirk Chewning. The aid – including 22,000 lbs. of water, 9,000 lbs. of food, 5,200 lbs. of baby items, 4,500 lbs. of cleaning products, 3,300 lbs. of paper items, 1,300 lbs. of tools/tarps, and 1,000 lbs. of first aid – was donated and collected by the #BStrongGlobalBetter coalition. 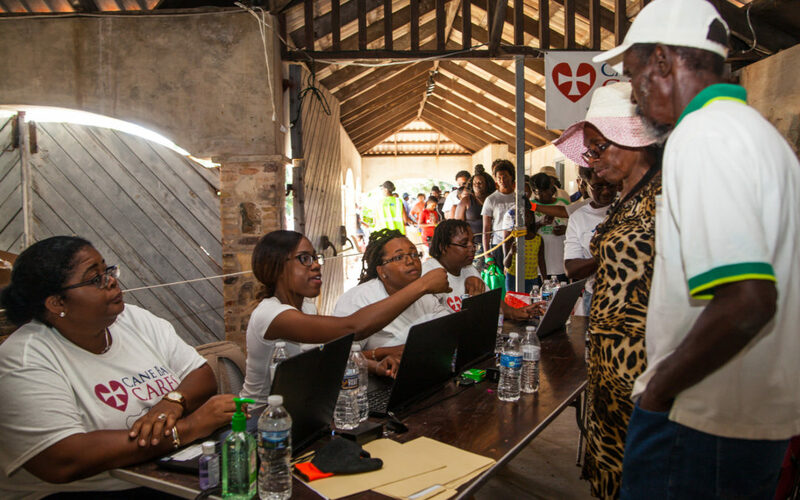 The coalition is a group of non-profit organisations in the mainland United States that has been collecting donations and making them available to relief missions in areas impacted by storms. 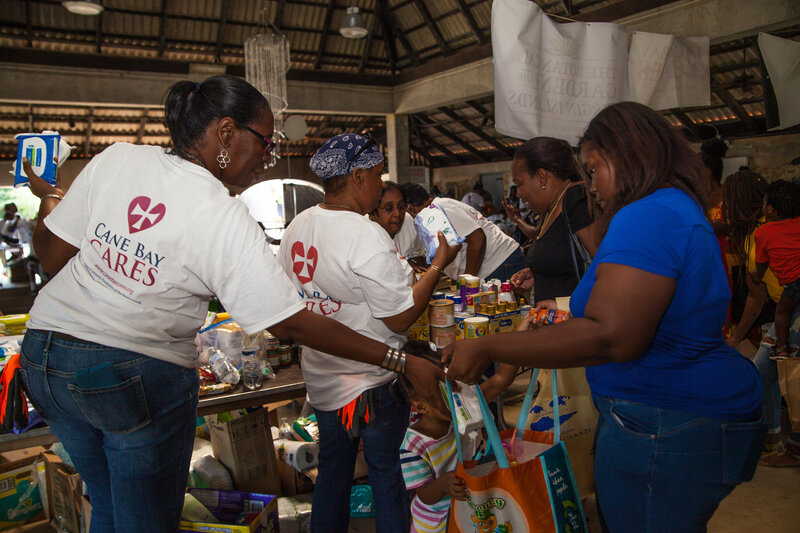 Prior to this effort, Cane Bay Cares had distributed more than 25,000 pounds of food and other aid, 20,000 bottles of water, 4,000 freezer packs for medical use, 800 inflatable solar lights, 44 generators, 300 children’s toys, hundreds of tarps and other relief to St. Croix in the wake of the historic and devastating impact from two hurricanes: Irma and Maria. #BStrongGlobalBetter donated three 40-foot containers filled with aid to Cane Bay Cares for the St. Croix community. The aid group ReV!ve VI paid for shipping one of the containers from Florida to St. Croix, and Cane Bay Cares paid for the shipping of the other two containers. Cane Bay Cares organized the ground shipping and distribution logistics. Richie’s Trucking volunteered to haul loads to and from the site. More than 40 volunteers came out and sorted the goods, then another 60 volunteers helped distribute the items to the community. The St. George Village Botanical Garden provided logistical support and the use of their facility. The event also represents a major transition for Cane Bay Cares, as the need for general aid has been reduced but the need for long-term rebuild efforts grows. 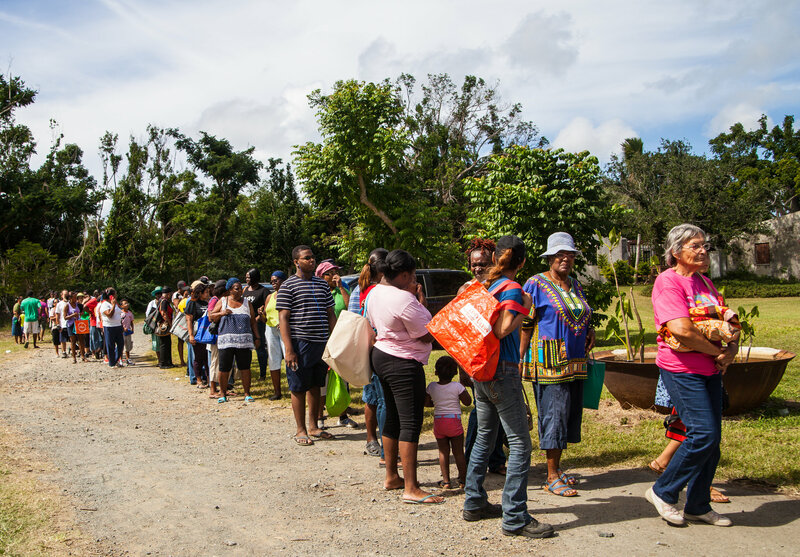 For example, half the schools on St. Croix have been condemned and public school students are sharing the remaining facilities but only attending for half days, cutting in half their educational experience. Cane Bay Cares is now exploring how best to assist in uplifting the availability of education for young people on island.